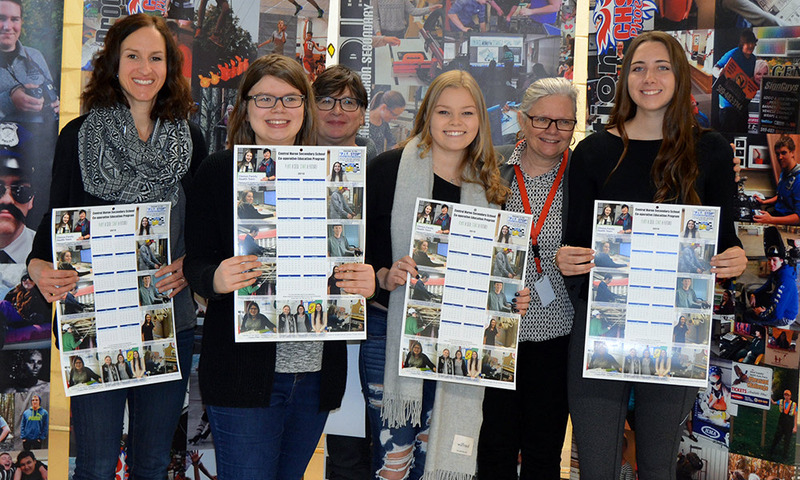 Central Huron Secondary School (CHSS) held its annual winter co-op supervisors breakfast and tech open house last Friday, welcoming co-op students and their employers. The event serves as a chance for the school and organizers of the co-op program to recognize the efforts of both the students and the employers. Shane Taylor, one of the teachers behind the co-op program, explained that, being rooted in an agricultural community, it only makes sense that the co-op teachers look at the program as planting the seeds for the future of the students involved in it. 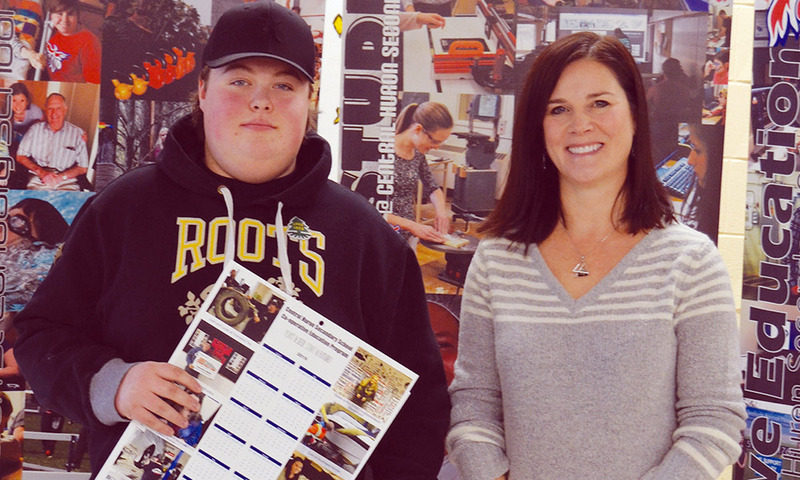 Taylor said that the program allows the students to build résumés, start apprenticeships, earn letters of reference and be prepared for college and university interviews, all of which is thanks to the businesses that provide co-op placements. Schools in larger centres are envious of the opportunities provided to the students at CHSS, Taylor said, because the school is small enough that there are ample opportunities for co-op placements. He said that the experience can have a profound influence on student’s future. Vice-Principal Eveline Wright also thanked those businesses, saying that the hands-on experiences the students receive is essential to learning. Over two dozen students and businesses were recognized at the event and Taylor thanked all the employers for helping to create a learning atmosphere for the students. Locally, businesses like M.G.M. Townsend Tire near Londesborough, John Rutledge Architect in Blyth and Royal Homes in Wingham hosted co-op students for the last semester. Matt Townsend, owner of MGM Townsend Tire, said the company has been participating in the program for a number of years and finds that both the company and the students can benefit from it. He said that, while not many have stayed on at the company, he knows that the experience is an important stepping stone from the world of education to the world of work. Townsend said that, while his business benefits from the work the students provide, he feels that it works out well because the students get the kinds of hands-on experience they may otherwise miss out on. This year, the co-op placement was a little closer to home for Townsend, as his son Lucas was the student who joined the M.G.M. Townsend Tire team. The business will continue taking part in the program, Townsend said, as long as schools keep asking and there are eager students willing to work and learn. John Rutledge, of his self-named architecture firm based in Blyth, hasn’t had as much experience with high school co-op placements as he has had with college placements, but he said the few who have been placed with him have been beneficial experiences for all involved. 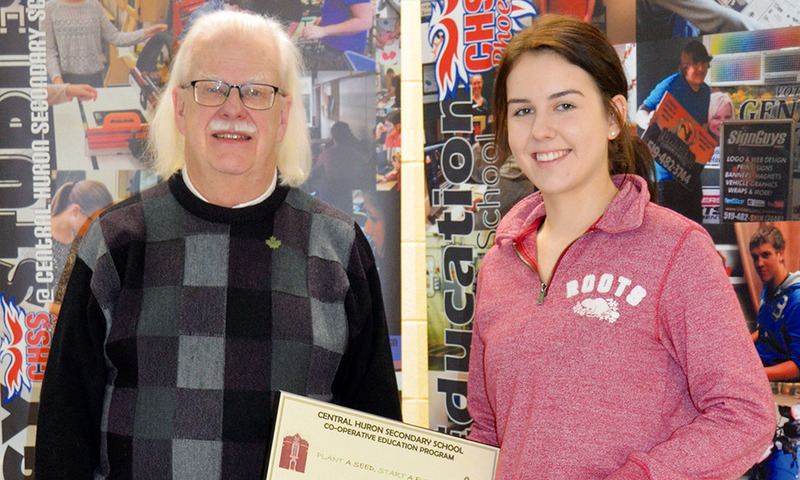 This year Rutledge welcomed CHSS student Lauren Hayter, his third high school co-op student. Rutledge explained he previously had students from Goderich District Collegiate Institute (GDCI), and that Hayter was the first student from CHSS. “They have all been very decent additions in the office,” Rutledge said. He said the required extra supervision pays off because he can help these students decide if architecture is the kind of future they’re interested in, compared to college students who are already committed to that future. The co-op program with the high school is different from Fanshawe’s, Rutledge said, because there is much more consistent communication with the high school instructors while college students are in his office full-time for either four or eight months. Rutledge found himself actually wanting more time with Hayter, as she only joined him mid-way through the co-op term. She had previously been working at Huron Optometric’s Clinton office, though she was more interested in buildings and architecture. When Hayter did join Rutledge, Huron Optometric wanted to keep her on part of the time, so Rutledge said she really only spent “quarter time” with him. Rutledge found Hayter to be a very knowledgeable student thanks to CHSS having its own AutoCAD program, a computer hardware- and software-suite that is a cornerstone of the architecture industry. “She was much more helpful than I anticipated thanks to having that experience,” he said. Blyth’s Kaila Nesbitt found some great experience working at the P.I.T. Stop classroom at Clinton Public School that has already had a beneficial impact on her wishes to pursue a career in secondary education. A Grade 12 student at Central Huron Secondary School (CHSS), Nesbitt worked in the classroom, which focuses on students with mental health issues or behaviour problems, through the CHSS Co-operative education program. “I like helping others and coaching, so teaching seems like a good fit,” she said. Nesbitt was planning to go to a Grade 5 classroom for her co-op placement, but Shane Taylor, one of the co-op program leaders for CHSS, suggested she try the P.I.T. Stop classroom instead. “He said it would be a better experience for me going forward,” she said. The co-op program offers a good opportunity to obtain for hands-on experience, Nesbitt said, and while she learned much from her time in the classroom, it hasn’t changed her goal of teaching in a high school classroom. Nesbitt said she would encourage students to participate in the co-op program regardless of their career path because there are a lot of opportunities for students to try. “It lets you see what the real world might be like,” she said. The program also proved beneficial when it came time for Nesbitt to start applying to post-secondary institutions. She plans on pursuing either a Bachelor of History through Wilfrid Laurier University or the University of Guelph or a Concurrent Education Program at Queen’s or York Universities.